The Moorhead side. 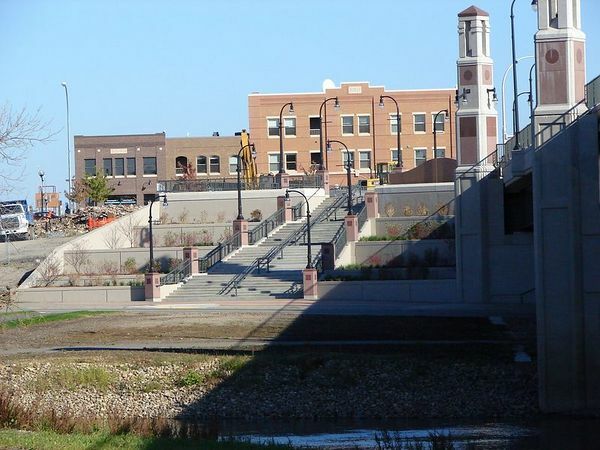 Why the elaborate stair case going down to a bike path? I don't know.